With more students at UChicago than ever before, students can expect to get cozier than ever at the Arley D. Cathey and Bartlett dining commons—the University’s two dining halls now that Pierce Dining Hall has closed. Having failed multiple health inspections last year, the dining halls can be difficult to stomach; however, Cathey and Bartlett both offer distinct but enjoyable dining atmospheres and have a few notable dishes. Cathey, also known as “ACDC” or most commonly by its old name “South,” contains two separate sitting areas with different ambiences. An open space closer to the entrance is a well-lit area where sad, misanthropic students (hey, isn’t that all of us?) eat alone while trying to look busy thumbing through pages of Sosc reading that will forever remain unfinished. If your house table is located in Cathey Dining Hall, you may choose to join your house-mates in the regal Harry Potter-esque rooms towards the back of Cathey. Two lounges in Burton-Judson Courts have also opened up this year to accommodate students relocated from Pierce Dining Hall. University administrators chose to shut down Cathey for five days last fall after it failed two city health inspections. Despite the University’s efforts to clean up Cathey, it failed another inspection in the spring along with Bartlett, though neither dining hall was closed then. This elicited a strong student response that prompted an external review of the University’s contract with food vendor Aramark, but the company remains the University’s food provider. 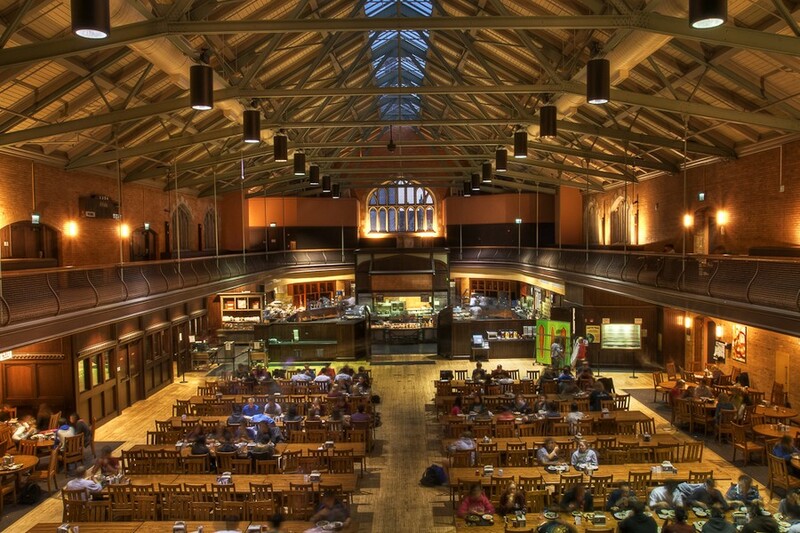 Bartlett Dining Hall is where you should go if you like being seen. By everyone. In all directions. All the time. This year tables will be placed on the third floor track for the first time, so diners on the main floor can be viewed from above as well. House tables are located centrally while several tables seating two to four people line the periphery. In terms of food, Bartlett is known for a sandwich station that toasts its sandwiches, as well as a wood-fired oven for pizza. Cathey stands apart for the fresh veggies at the salad bar, “burrito Tuesdays” during lunch, omelets prepared by beloved and famous dining hall worker Kuko, and hot chocolate machines that are frequently out of order. Both Bartlett and Cathey have halal, kosher, and vegetarian stations for students with dietary restrictions. There have also been several changes to the menu offerings to compensate for the closure of Pierce Dining Hall this year. Fourth Meal—a program that keeps the dining halls open from 9 p.m. to midnight Monday through Thursday—will be held in Cathey during fall quarter and Bartlett during the winter. The Mongolian grill, which provides make-your-own stir fry, has been relocated to Cathey. As a first year, you are wedded to your Unlimited Meal Plan, which each quarter includes: an unlimited number of visits to the dining halls; 100 Maroon Dollars, accepted at the many cafés and marts on campus; three meal exchanges, for pre-determined combinations at those cafés and marts; and five dining hall guest swipes. Second year and beyond, you can move off campus or take advantage of the other meal plans available (but as long as you live in housing, you must buy one of them). For the time being, enjoy the bond of lackluster and repetitive food options that will inevitably bring you and your new friends closer together. As a respite from the monotony, the dining halls remain closed on Saturday nights to allow you to branch out, explore Hyde Park, and go downtown—but expect to spend a fair few ordering in or grabbing food at Midway or Bart Mart.